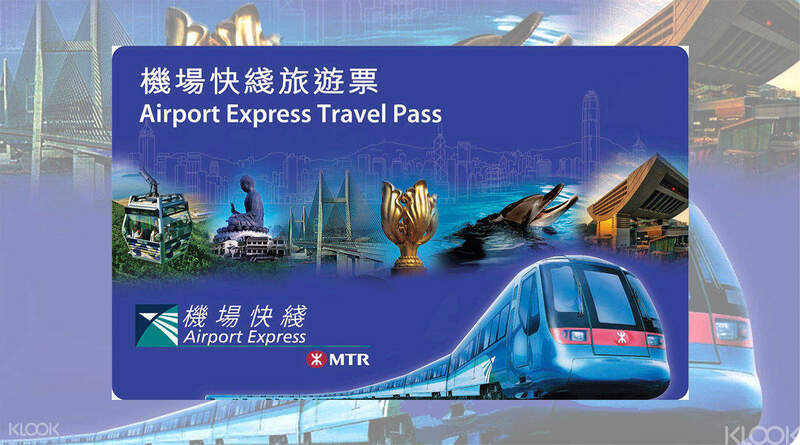 Avail a 3-day MTR Airport Express Travel Pass specially packaged for tourists visiting Hong Kong! With this 3 day pass you'll be able to freely travel around the whole MTR network visiting all the sites without having to buy a ticket every time you travel. Simply pick up your MTR Airport Express Travel Pass upon arrival at the Hong Kong International Airport with your mobile voucher and you'll be on your way! Hop onto the Airport Express ride that is included with your card for a quick trip to the city in as little as 30 minutes. For the next 72 hours, you will be able to access unlimited rides on the MTR system by simply waving your pass in front of the card reader. If you want to make quick and small purchases at convenience stores with your pass, you can top it up at the stores or even at any MTR stations! At the end of your travel, take another ride on the Airport Express to the airport and return your pass at the counter to receive your deposit back. Most airlines offer a check-in service at the station so you can check your bags in at Hong Kong or Kowloon Station from 90mins up to one full day before your scheduled flight, meaning you can fit in a few more hours of stress-free sightseeing! See the official website for more details"
Getting this deal really made our trip easier. It is hassle free to go around Hong Kong . One ride through the airport express saved us a lot of time and energy into heading to Hong Kong. The free shuttle bus to specific hotels made it more convenient . Of course 72 hours unlimited MTR rides was so worth it. Getting this deal really made our trip easier. It is hassle free to go around Hong Kong . One ride through the airport express saved us a lot of time and energy into heading to Hong Kong. The free shuttle bus to specific hotels made it more convenient . Of course 72 hours unlimited MTR rides was so worth it. Very good buy! Easy to redeem and has been super useful during our trip! We were able to have great travel budget savings because of this! We also love its flexibility since you can top it up to use in buses, convenience stores or anywhere Octopus card is being accepted as payment. You can also request for refund when you return the card before your departure from HK! Very good buy! Easy to redeem and has been super useful during our trip! We were able to have great travel budget savings because of this! We also love its flexibility since you can top it up to use in buses, convenience stores or anywhere Octopus card is being accepted as payment. You can also request for refund when you return the card before your departure from HK! Everything way MTR is free with the MTR travel pass, u can enjoy the unlimited access MTR from the east to west , north to south.every place u wanna go , really enjoy it. Very easy touch the card in and out . That’s my 1st choice,if I’m came back HKG again . Everything way MTR is free with the MTR travel pass, u can enjoy the unlimited access MTR from the east to west , north to south.every place u wanna go , really enjoy it. Very easy touch the card in and out . That’s my 1st choice,if I’m came back HKG again . Very easy to redeem at the counter. Was given 2 cards, one for the single trip journey from airport to Kowloon and another card for the 3 days unlimited rides and a return trip on the airport express. The 3 days unlimited is valid for 72 hours (actually till the end of train service on the 3rd day, so technically more than 72 hours) from the time you start using it, so it's super value for money! Highly recommend this! Very easy to redeem at the counter. Was given 2 cards, one for the single trip journey from airport to Kowloon and another card for the 3 days unlimited rides and a return trip on the airport express. The 3 days unlimited is valid for 72 hours (actually till the end of train service on the 3rd day, so technically more than 72 hours) from the time you start using it, so it's super value for money! Highly recommend this! I booked this together with a one-way Airport Express Travel (also from Klook) as it ended up cheaper than getting the roundtrip AET plus the 3-day unli MTR ride (hot tip!). That was the best decision I’ve made for my trip! I think I was able to use the unli MTR ride mostly since I opted for exploring the local HK streets and so I just hopped in to MTR and go station to station without destination and I didnt have to worry using up its load because its unlimited and it worked good! I had no problems with it.I highly recommend to travelers to get this if theyre planning to just go anywhere in HK to experience every corner of it (including the non-touristy sites). Tiring walk all throughout but the trip will be such a refreshing treat in the sight. I booked this together with a one-way Airport Express Travel (also from Klook) as it ended up cheaper than getting the roundtrip AET plus the 3-day unli MTR ride (hot tip!). That was the best decision I’ve made for my trip! I think I was able to use the unli MTR ride mostly since I opted for exploring the local HK streets and so I just hopped in to MTR and go station to station without destination and I didnt have to worry using up its load because its unlimited and it worked good! I had no problems with it.I highly recommend to travelers to get this if theyre planning to just go anywhere in HK to experience every corner of it (including the non-touristy sites). Tiring walk all throughout but the trip will be such a refreshing treat in the sight. This is a big help if you are a tourist in HongKong. You get a free HongKong Express ticket and unlimited MTR rides for 3 days. Very easy to claim I just showed my mobile voucher and they alteafy gave me the cards. We do noy need to pay for our train fare we can go everywhere with just a tap away! This is a big help if you are a tourist in HongKong. You get a free HongKong Express ticket and unlimited MTR rides for 3 days. Very easy to claim I just showed my mobile voucher and they alteafy gave me the cards. We do noy need to pay for our train fare we can go everywhere with just a tap away! Definitely worth it and one of the best purchase I ever had. Easy to redeem and easy to use. The most convenient way to roam around and to make most of your time in hong kong. Recommended to all travelers. Definitely worth it and one of the best purchase I ever had. Easy to redeem and easy to use. The most convenient way to roam around and to make most of your time in hong kong. Recommended to all travelers. Easy to redeem. Very accommodating staff she explained how to use the card and the free shuttle bus.very easy to use just tap the card and go.. Unlimited for 3days in subway... Can refund 50hkd for the deposit.you can tap up load If you already used up the unli 3days. Will definitely purchase this again . Great for tourist. Worth to buy. Easy to redeem. Very accommodating staff she explained how to use the card and the free shuttle bus.very easy to use just tap the card and go.. Unlimited for 3days in subway... Can refund 50hkd for the deposit.you can tap up load If you already used up the unli 3days. Will definitely purchase this again . Great for tourist. Worth to buy. Fastest way to get to the City Centre. We arrived earlier than expected at the airport + this Airport Express Link. So, we got more time to explore Hong Kong. Plus, it is unlimited for 72hours! I just got unlucky because I lost mine after my airport express link ride. So, I have to use my octopus card for my train travel. Fastest way to get to the City Centre. We arrived earlier than expected at the airport + this Airport Express Link. So, we got more time to explore Hong Kong. Plus, it is unlimited for 72hours! I just got unlucky because I lost mine after my airport express link ride. So, I have to use my octopus card for my train travel. Q: Can I top up this pass after 3 days? A: No. This pass is not like an Octopus card and cannot be topped up. The pass is only good for unlimited rides within the MTR for a 72 hour period starting from the first entry into the MTR system.